118 posts categorized "Chabad History"
"A…point of contention is the gross underrepresentation of Orthodox survivors among the videotaped testimonies that appear throughout the museum. There are approximately 50-60 video monitors of varying sizes in the Holocaust History Museum, which continually play prerecorded personal testimonies of survivors. When the Holocaust History Museum first opened in 2005, only one of the dozens of men, and none of the dozens of women, speaking on these videos were identifiably religious. Chassidic and Chareidi survivors were not represented at all. This denied visitors the opportunity to hear from survivors who view the Holocaust from a Torah perspective. After all, the purpose of a museum is to present an honest and complete picture of its subject. If any museum omits a significant segment of its theme, it is simply not doing its job." 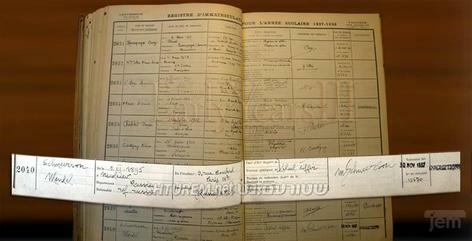 A death certificate for the Chabad-Lubavitch Rebbe Menachem Mendel Schneerson is being auctioned by Virtual Judaica. Schneerson died in 1994 at age 92 after suffering a series of strokes. The current high bid is $1,200. "One of the saddest lessons of history is this: If we’ve been bamboozled long enough, we tend to reject any evidence of the bamboozle. We’re no longer interested in finding out the truth. The bamboozle has captured us. It’s simply too painful to acknowledge, even to ourselves, that we’ve been taken. Once you give a charlatan power over you, you almost never get it back.” – Carl Sagan. Chabad's paradigm for moshiach never asked the US Government to save Jews from the Holocaust. He used money he raised to rescue Jews and instead used it to start his Brooklyn yeshiva while thousands of Jews were being incinerated in Hitler's ovens every day. But there was something special the Lubavitcher Rebbe wanted the US to do for him just before Sukkot 1944. The iconic building known worldwide as "770" was purchased with money taken from the man who saved the 6th Lubavitch Rebbe from the Nazis. Suddenly [the rabbi's] tone of voice became suspicious. He was no longer friendly. He began to scowl, and began asking me questions like a prosecuting attorney hot on the trail of a confession. "Is the mother Jewish?" My first wife had not been Jewish, I had to admit. (Neither were my next two wives, come to think of it). The rabbi raised his hands in horror and announced that he had no intention of contributing to a book such as mine. "I will not besmirch the name of the Schneersohns, one of the greatest of Jewish intellectual family names, by linking it with that of the Menuhins," he said dramatically. "I will tell you no more." Ever wonder how Chabad became so big in Russia and who got hurt in the process? Here's how to find out. Rabbi Yosef Rozin, commonly known as the Rogatchover Gaon, was the hasidic rabbi of Dvinsk connected to the Chabad hasidic dynasty. He also supposedly gave smicha (ordination) to the late Lubavitcher Rebbe Menachem Mendel Scheneerson, although some contend this is not actually true. Rozin's son-in-law passed away, and that created a unique dilemma for him that migh shock you. On Wednesday, US District Court Judge Royce C. Lamberth ordered Russia to pay fines of $50,000 per day until it returns the Schneersohn Collection of books and manuscripts to Chabad in Brooklyn. In response, Russia threatened to "retaliate" against the US if it tries to enforce that ruling. Rebbetzin Chaya Mussia Schneerson's videotaped deposition in the federal district court case over ownership of her father's, Rabbi Joseph Isaac Schneerson's, extensive book collection. These exclusive pictures were taken on November 12, 1985 in the dining room of the Rebbe's house in Crown Heights. Note that she did not cover a large portion of her hair. Did Chabad Censor A Historic Picture Of Its Rebbe? A rare 1936 ESTP school registration picture of the late Lubavitcher rebbe, Menachem Mendel Schneerson, was published yesterday. But did Chabad alter the picture? Was the yarmulke added in by Chabad? As you can see in the full size image posted below, it was. Video: What's In A Name – Especially When Hundreds Of Your Friends, Family And Neighbors Have That Name, Too? When the late rebbe of Chabad's wife Chaya Moussia Schneerson passed away in 1988, the rebbe asked his followers to name female children after her. Now There are thousands of Chabad girls named Chaya Moussia and its variants and nicknames, and many of them are first cousins, neighbors and classmates, making things a bit more complicated than was perhaps foreseen. Rabbi Rivkin's father stood up to the Rebbe and in response was mercilessly harassed and hounded by hasidim until the elderly man dropped dead. "It is well known that when a dinner of United Lubavitcher Yeshivos concluded with the Hatikvah, the Rebbe removed his auspices from the institution. This harsh action was taken, even though Lubavitchers hadn't sung it, some supporters had. But since the organizers didn't see to it to hush the anthem's singing, the Rebbe removed his name from the school." Drawing on a wide variety of sources, including extensive interviews, the authors suggest that during the 1930s, not only did Schneerson appear uninterested in becoming a Hasidic rebbe, but he actually engaged in behavior that was guaranteed to raise the eyebrows of other Hasidim, including his own father-in-law. Russia's Foreign Ministry said late Wednesday that the ruling is a rude violation of international law. It said the library was nationalized because its owner, Rabbi Joseph Isaac Schneersohn, had no heirs. 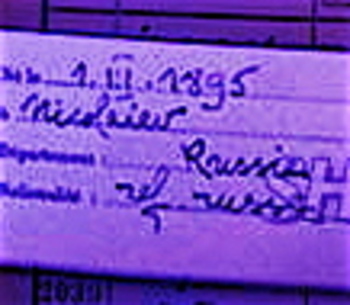 Schneersohn was forced to leave Russia in 1927. FailedMessiah.com's founder interviewed Saturday night on Zev Brenner's radio show. Topics include the Rubashkin sentence, the new Heilman-Friedman book on the life of the Chabad-Lubavitcher rebbe, pedophilia, and the state of Orthodox Judaism today. What some early readers have found most disturbing is the authors’ description of the rebbe as a not especially pious young Hasid. They argue that Rabbi Schneerson’s initial dream was to be an engineer and that he mostly absented himself from Lubavitcher affairs before World War II, living in Berlin and Paris outside of a religious Hasidic community. The Rashab, Rabbi Sholom DovBer Schneersohn, and his son the Rayyatz, Rabbi Yosef Yitzchok Schneersohn, were both sexually molested as children. The Rashab and his older brother engaged in forbidden sexual escapades, as did their wives. Neither in Berlin nor Paris did the Schneersons live in Jewish neighborhoods. In Paris they resided at the fashionable Hotel Max, on the Left Bank, whose other tenants were a rich international assortment of bohemian artists, musicians and writers. Professor Samuel Heilman, co-author of new book on the life of Menachem Mendel Schneerson, is interviewed by Zev Brenner. Shmuley Boteach responds with harsh criticism. The Life and Afterlife of Menachem Mendel Schneerson’ humanizes the Lubavitcher Rebbe, but is its premise flawed? When is it proper not to tell the truth? Chabad has never been known for truth-telling, and this latest example of Chabad's lack of honesty is truly astounding. JEM, a division of Chabad, so to speak, today released a video that contains a picture of the Sorbonne registration document of Menachem Mendel Schneerson. They're dated November 30, 1937. There are no records of any tests taken and passed or of degrees granted. It seems the Rebbe registered, perhaps to avoid deportation to Russia, perhaps to audit classes, perhaps for both reasons. In summary, the Rebbe took classes for fewer than 1.5 semesters at the University of Berlin even though he lived in Berlin for about seven years. He was not granted any degree. He studied, and did poorly in both grades and attendance, at a technical college in Paris. He eventually graduated with a degree in Electrical Engineering. This college is not part of the Sorbonne. He then registered as a student at the Sorbonne. There is no record of any tests taken and passed or of degrees granted. All there is is the initial registration document. A friend of Barry Gourary told me today that Barry told him years ago that his uncle (the Rebbe) was a perpetual student hanging out at these universities, never in any degree-granting program. He audited a few classes and hung out the rest of the time – that would be years of simply hanging out. Chabad's "discovery" of the Rebbe's registration document seems to confirm this. Also note what appears to be the birth date given by the Rebbe. I can't make all of it out but the year is definitely 1895. The Rebbe was actually born April 18, 1902. I made highlight of that part of the registration document and posted it to the right here. Why would the Rebbe make himself seven years older than he actually was? My guess is to avoid a possible draft into the French or, if deported, Russian army. In 1937 the Rebbe was actually 35 years old. By 1940 Britain had extended its conscription age to 40 because of a shortage of soldiers. Making himself seven years older – 42 – made it far less likely that he would be conscripted. UPDATE #1, 10-9-07 5:00 PM CDT – I spoke with a consular official at a French consulate in the US. I asked about the French draft during 1935 to 1940. She spoke with a French military officer who told her that all had to register at 18, most were called up by 19. The maximum age for induction into a combat unit was 40. There was no maximum age for serving in non-frontline units. UPDATE #2, 10-9-07 7:40 PM CDT – In the comments below, Anon and MP note that the Rebbe's passport had a listed birth date of 1895, and that this has been noted in previous Chabad publications. Both are correct, although I believe Shaul Shimon Deutsch may have been the person to most publicize this. The date was probably falsified to help the Rebbe escape the Soviet draft and to allow him to leave the Soviet Union to study abroad. So the date listed on the Sorbonne documents may not have been used for any other reason except that it matched the Rebbe's passport information. That the Rebbe avoided the Soviet Draft in the late 1920s is not surprising. Many Jews, especially religious Jews, did this and did so for very good reasons. There is more to this story than I can print here at this time. The Rebbe had a complicated relationship with France. Look for more information to surface on that complex relationship during 2008. Nanas, who passed away 10 years ago in Jerusalem, was born in 1897 in Kherson, Ukraine. After completing his studies, he became an accountant, a job which allowed him to secretly support the Lubavitch underground yeshiva network in the Soviet Union. He helped provide food to the yeshiva students and also was instrumental in obtaining financial support for the teachers' salaries. Later, he secured an agreement with a small town mayor in the vicinity of Rostov-on-Don, Russia, whereby students could learn in his jurisdiction even though the town had no Jews of its own. The students learned there for eight years without the Communist authorities discovering the yeshiva. In prison, Nanas earned the nickname of Subbota, the Russian word for the Sabbath, because of his scrupulous observance of Shabbat under the most brutal of circumstances. While behind bars, he also refused to eat cooked food and adhered strictly to the kosher dietary laws. In order to preserve the family's distinguished lineage, there were many marriages within the family; these often led to the birth of mentally and physically handicapped children. Another brother of the Rebbe's, Aryeh Leib, turned secular, but Chabad followers tend to portray him as a very pious and righteous man. Chabad Hassidim claim that Rabbi Menachem Mendel studied at the University of Berlin. After lengthy research by Friedman and others, the Rebbe's name was found in a list of people auditing classes at the university. It turns out that during his six years in Berlin (1926-1932), the Rebbe studied philosophy and mathematics for a semester and a half. A similar search in Paris revealed the legend that the Rebbe had studied medicine and engineering at the Sorbonne was also far from the truth. In fact, he studied electrical engineering at Ecole Speciale des Travaux Publics, du Batiment et de l'Industrie (ESTP). Friedman heard the Rebbe [who died childless] was afraid to bring children into this world because of the "precedent" of his mentally ill brother. According to a rumor among Chabad Hassidim, the Rebbe had a child who died young. There was a power struggle after the 6th rebbe's death between the older son-in-law, Shmaryahu Gourarie, and the younger son-in-law, Menachem Mendel Schneerson. MMS was named Rebbe, but not before there was a sharp clash between the two camps in the year following the 6th rebbe's death. Even after his selection, the widow of the previous rabbi did not accept the choice and "did not allow the Rebbe to set foot in her house and also did not agree to give him the Riyatz's shtreimel [fur hat]. That is how the custom began of the Rebbe wearing a fedora instead of a shtreimel." Realize this: The Rebbe lived in Berlin on community money sent by his father-in-law. He was there for almost six years, supposedly in university. His total attendance? A semester and a half, about six months total. He was in Paris for almost nine years, according to the Ha'aretz calculation. He also supported there by community funds sent by the 6th rebbe, Menachem Mendel Schneerson's father in-law. He got what amounts to a two year junior college degree in Electrical Engineering. He did not work in either Berlin or Paris. People who knew the Rebbe and his wife in those days have claimed that neither behaved like hasidim. Some have said they did not behave like observant Jews. The material Chabad makes public about those days is based on testimony from people who saw the Rebbe a handful (or fewer) times in all those years, often at a public event or place where the Rebbe knew he would be seen by Orthodox people. But the Rebbe did not live in a Jewish neighborhood in Paris, and café owners and others there and in Berlin who saw the daily life of the Rebbe and his wife have a different, more interesting story to tell. The Elder just sent me an extraordinary email with a link to M. Avrum Ehrlich's website, where he has a complete pdf copy of his book, Leadership In The Habad Movement available for free download. I think this is Ehrlich's best book to date on Chabad, and it's well worth reading. He seems to have new book on Chabad in the works, as well.